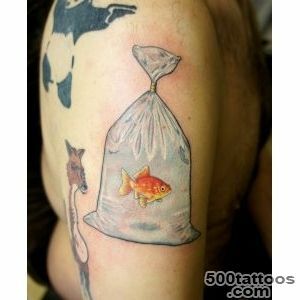 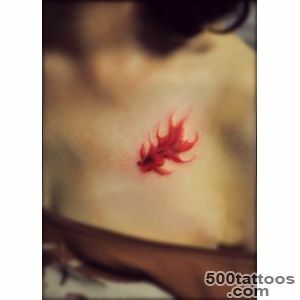 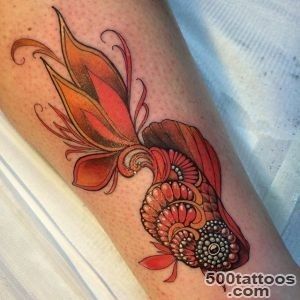 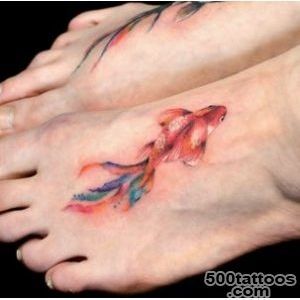 This type of tattoo is very common and popular in both men and women, but it is more common in women. 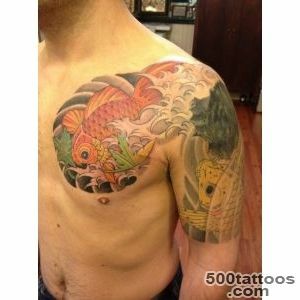 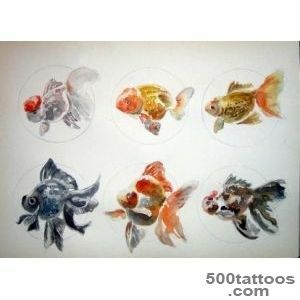 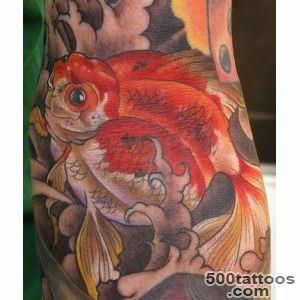 Goldfish symbolizes prosperity, wealth, luxury, satisfaction and happiness. 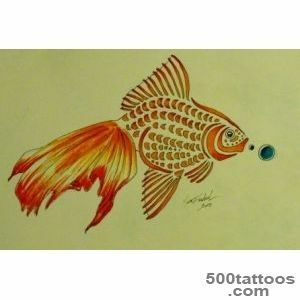 It is believed that the Goldfish is able to attract good luck and money. 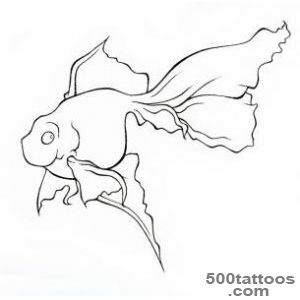 In Buddhism Goldfish are associated with longevity and cleanliness of thoughts.Whatever was depicted Goldfish, its value always keeps a positive value. 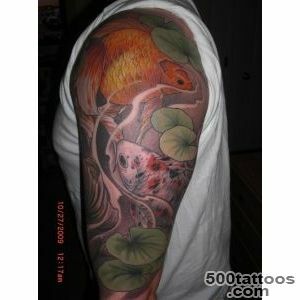 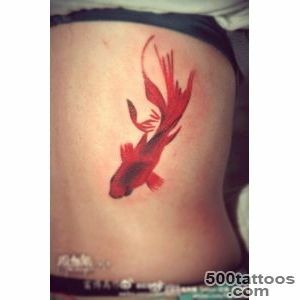 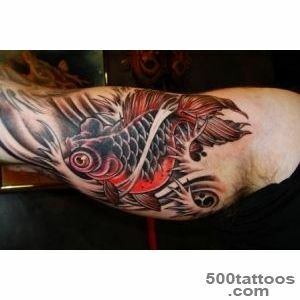 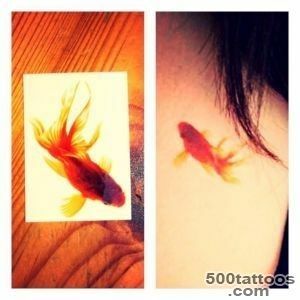 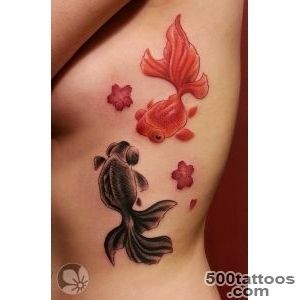 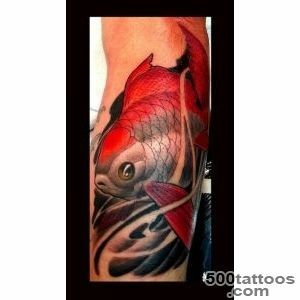 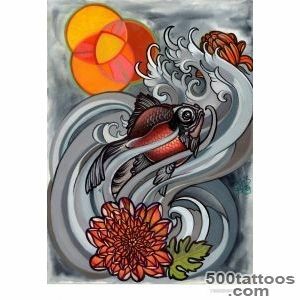 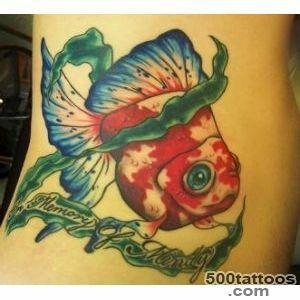 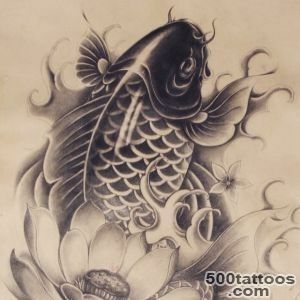 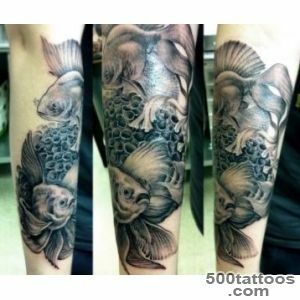 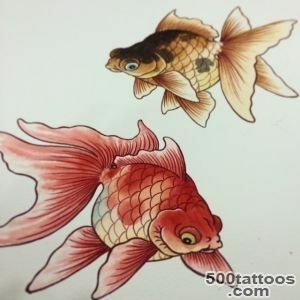 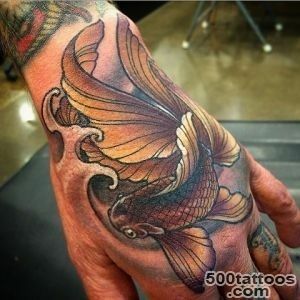 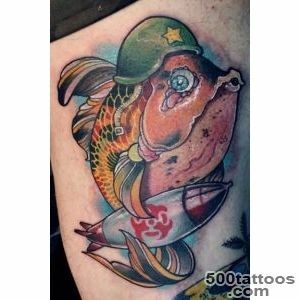 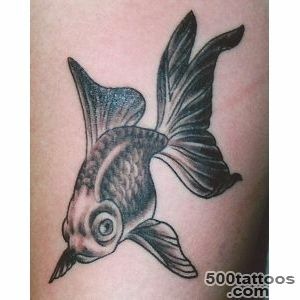 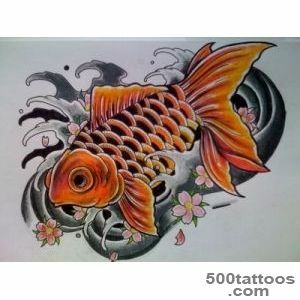 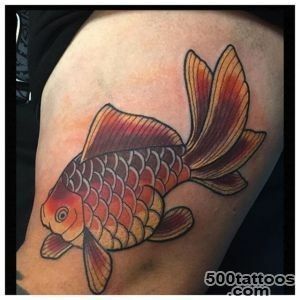 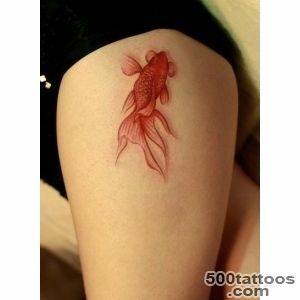 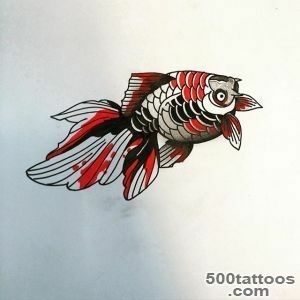 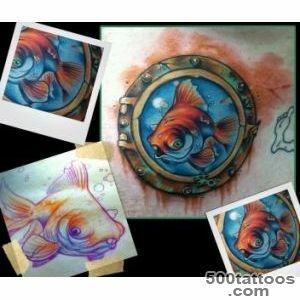 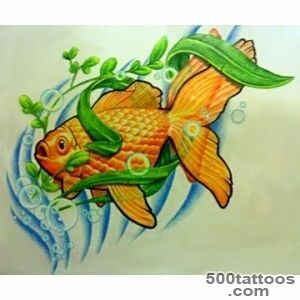 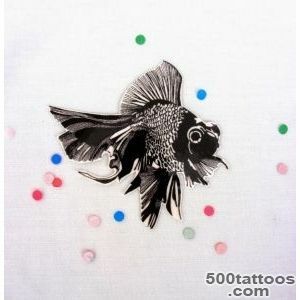 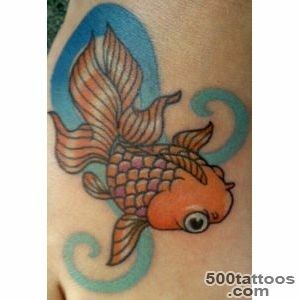 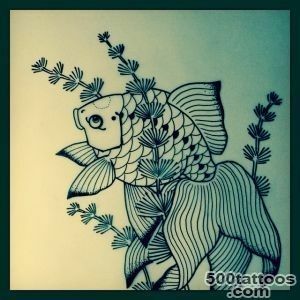 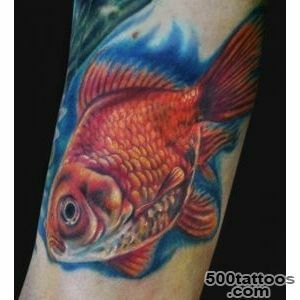 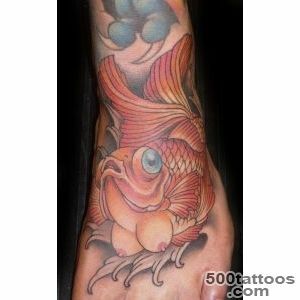 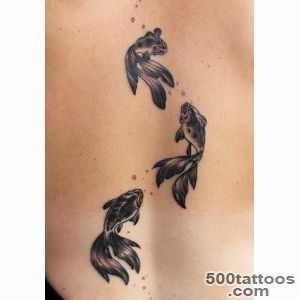 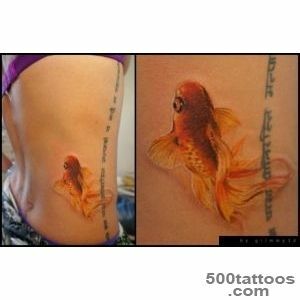 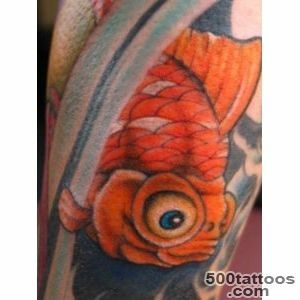 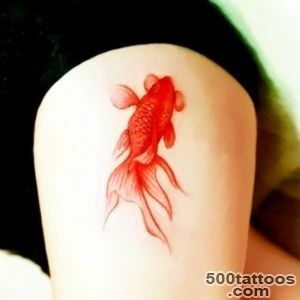 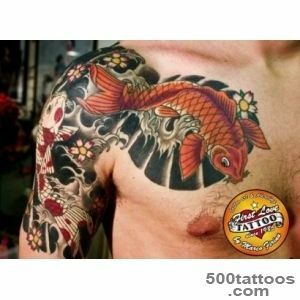 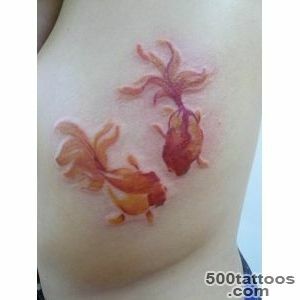 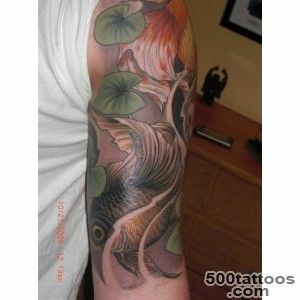 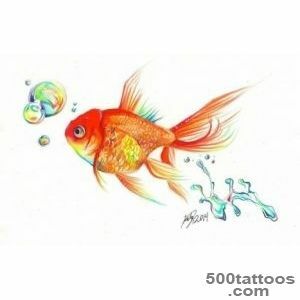 If Goldfish visually stands out the tail and fins, it is said that the owner of the tattoo is feminine, gentle and graceful. 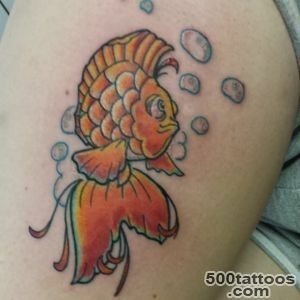 When the image of goldfish in a pair of emphasis on the fact that the owner of the tattoo is happy in marriage,his harmonious relationship with his half in the family peace reigns.